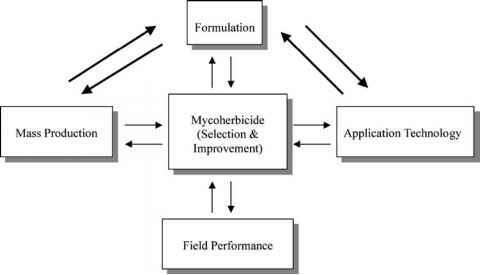 Figure 1 Strategic framework for evaluation and development of mycoherbicides. of C. gloeosporioides f. sp. aeschynomene for control of northern jointvetch was partially attributed to its ability to easily spread as an endemic pathogen. Yang and TeBeest (1995) further demonstrated a rapid rate of mortality of the weed as the number of pathogen lesions per plant increased from a single lesion. Therefore, more aggressive and virulent isolates of a pathogen with high infection efficiency, shorter latent periods, and better sporulation from diseased tissues should be selected from amongst the pathogen population. Chemical and physical methods have been used to create fungal mutants with acquired new traits such as elevated antibiotic production (Graeme-Cook and Faull 1991) or increased biocontrol efficacy (Palani and Lalithakumari 1999). Stability or low reversion frequency was observed with some mutants but, in general, stability can be a concern with chemical and physical mutagenesis (Wibowo et al. 1999). Ziogas et al. (1995) reported UV-induced mutants of Nectria haematococca with variable tolerance to fungicides that showed the same level of fitness as wild types as expressed by the rate of growth and virulence on squash seedlings. Mutagenesis is apparently a quick way of creating new fungal strains with variable traits. However, efficient bioassay systems based on the understanding of critical constraints are needed for an effective selection strategy. 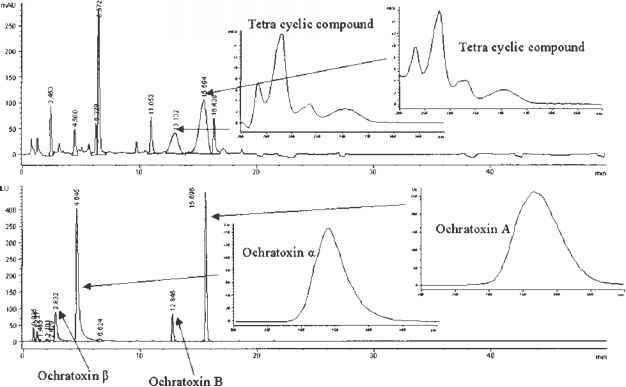 It is not uncommon for induced mutants to have lower competitiveness than the wild type due to reduced infectivity or reproductivity (Yang and TeBeest 1995), but judicious use of this technique may help develop new mycoherbicide strains that overcome critical hurdles such as those demonstrated with the plurivorous pathogen Sclerotinia sclerotiorum (Miller et al. 1989).